With the growing prevalence of conducting clinical trials and research studies abroad, pharmaceutical companies, medical device manufacturers, sponsors, and Clinical Research Organizations (CROs) need accurate translations of a wide range of documents and other materials into the languages of the locations where the trial or research takes place. Clinical trial translation must meet the needs and language skills for the wide range of people involved with any clinical trial or research. International Language Services offers comprehensive translation services, in over 180 languages, that meet your exacting needs for clinical research, trials, and studies. Proper translations are not simply word-for-word duplication of source documents, but must provide necessary information in a form that is fully understood by participants, in the same tone as your original communication. Acceptance, compliance, and accurate reporting of subjects’ experiences are essential goals that can only be met by experienced translators. Documents submitted to local regulatory bodies, government agencies, and other authorities require not only accuracy but also thorough understanding of the unique language used in such documents. At International Language Services, we correctly translate and format such documents to meet the most exacting standards. Our experience with regulatory and legal documents in all of our 180 languages ensures that your documentation is translated to meet all of your needs. Providing accurate and normalized translations from the language of the location of any research study or clinical trial into English is another responsibility of your translation services provider. Patient and subject surveys and patient recorded outcome forms require accurate translation for proper interpretation. Clinicians’ reports must be translated accurately when creating English language documentation for the research project, trial, or study. At ILS, we can provide those translations quickly, accurately, and formatted to meet your every need. Since 1982, ILS has handled translation needs for global clinical trials, research, and studies for leading CROs and their sponsors.  Our reputation for accuracy, timeliness, and cost-effectiveness has been earned through our dedication to quality results and impeccable quality control processes. Our experienced project managers and native-speaking translators with medical industry expertise assure you of excellence in all facets of your translation projects.